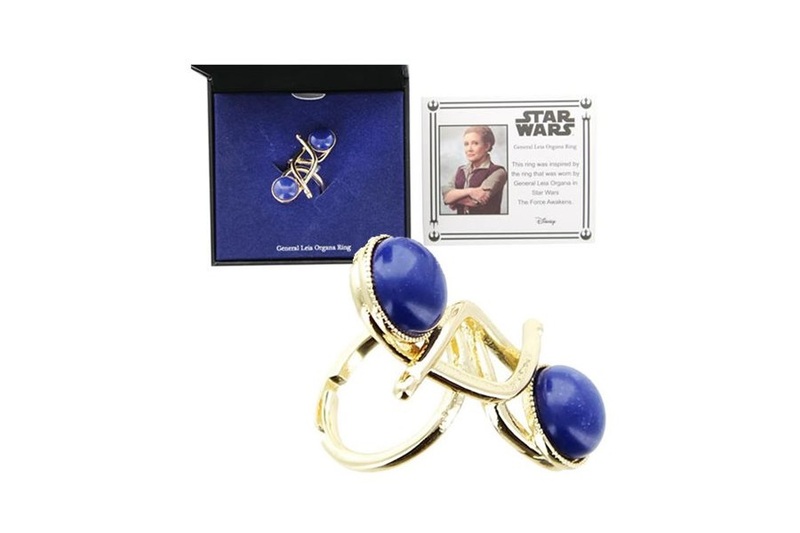 The Star Wars General Leia replica ring is coming soon to Entertainment Earth! 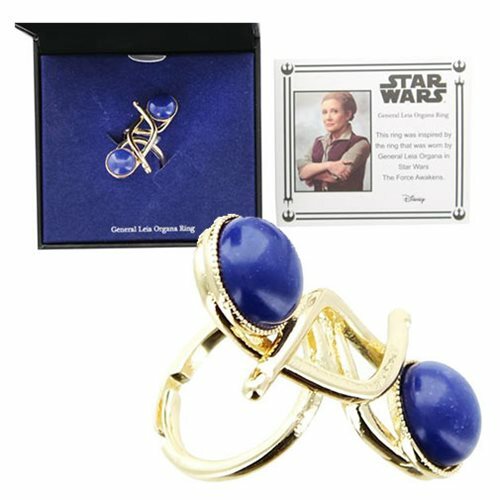 Made by Body Vibe, the General Leia ring is a replica of the one worn by Carrie Fisher in The Force Awakens and The Last Jedi. The gold-tone ring features an adjustable ring band, and 2 blue faux gems held within an intertwining band design. Please note this is a pre-order item, with stock expected to ship later this month. The Force is strong with this replica ring! This is a replica of the ring that General Leia wears in Star Wars – Episode VII: The Force Awakens. Made of real metal and featuring faux gems, this approximately 2-inch ring is adjustable. Sure to make a great gift for your favorite Star Wars fan! The ring is priced at US$29.99 each – Entertainment Earth can ship internationally, which is great!